KINGSFORD – Prior to 2015, Westwood was enjoying a six-year championship run in the Upper Peninsula Division 2 Girls Tennis Finals. Then it was Munising’s turn to celebrate its first championship a year ago. Both schools were able to celebrate this year on a mostly sunny and cool Wednesday as they shared the title with 16 points apiece. West Iron County was a close third with 14. “The last one is always the best one,” Westwood coach Chris Jackson said. “You never know when you’re going to win it again. 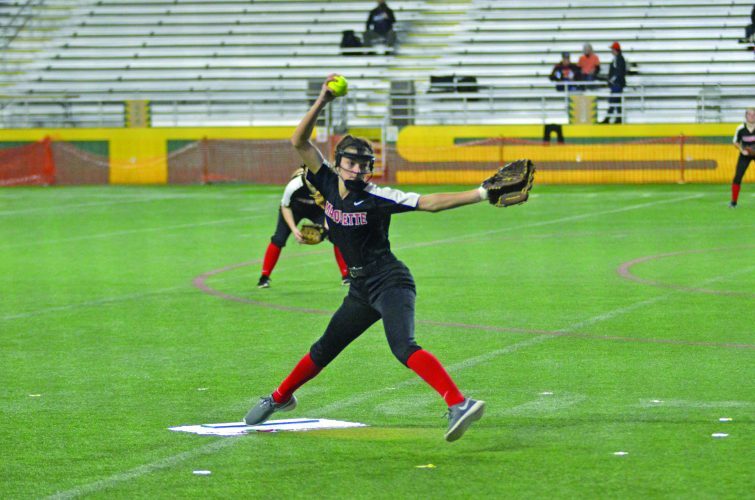 “We went into this season with what we thought would be a solid lineup, then about three or four girls moved out of the district. Munising also had to overcome a few things to maintain a share of the title, coach Rod Gendron explained. “We don’t have enough courts to host a meet,” he said about the Mustangs playing nothing but road matches since the inception of the program. “All the girls had to practice on what we had, although I think that made our team even closer. Our team chemistry has been good. We’re always supporting each other. 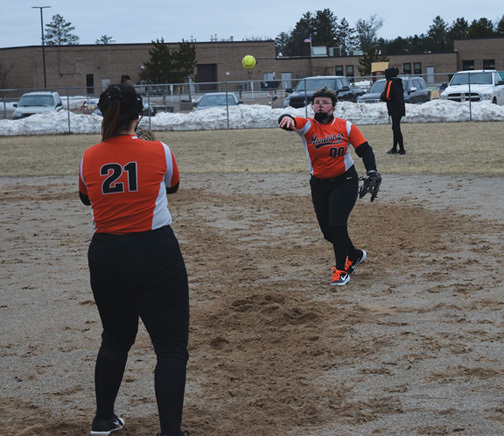 Munising secured its share of the title in No. 3 singles, where Kelsea Ackerman posted a 6-3, 6-3 victory over WIC’s Isabelle Hoogenboom. Westwood clinched its share a short time earlier in No. 1 doubles when seniors Mady Mattson and Averie Kangas gained a 6-4, 6-2 triumph over Munising seniors Marissa Immel and Bailey Downs during a match that included a half-hour rain delay. 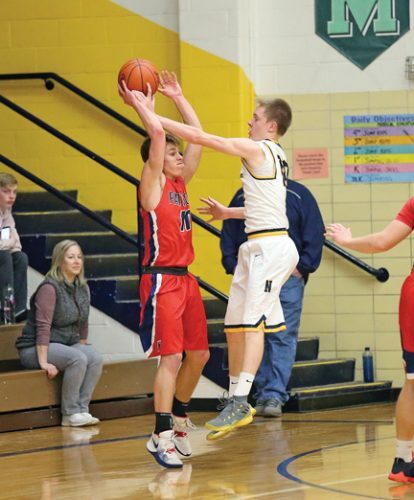 Immel and Downs, who edged the Westwood duo on a tiebreaker during the regular season, returned to the court with plenty of energy after the showers moved through the area. By then, however, they were trailing 3-1 in the second set and didn’t seem to have an answer for Mattson’s and Kangas’s lobs over the net. 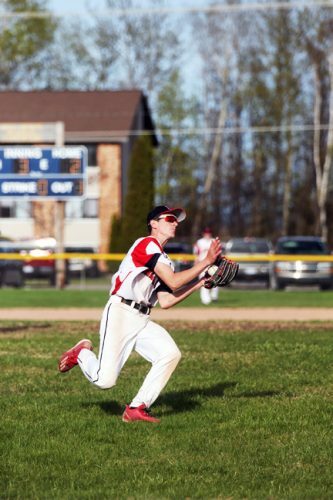 Gendron was impressed with Westwood’s performance at No. 1 doubles. Munising senior Frankie Mattson dispatched West Iron sophomore Katarina Serbentas 6-1, 6-1 for her first title at No. 1 singles. “I thought my serving was pretty consistent,” Frankie Mattson said. “I think I got to her a little mentally. Being a senior, there’s a lot of pressure on you, especially when you’re the No. 1 seed. Munising junior Marissa Ackerman, Kelsea’s twin sister, was also crowned champion for the first time after taking a 6-2, 6-0 decision from Westwood’s Marissa Carello at No. 2 singles. Both players appeared to follow a conservative approach in the first set. Ackerman then took charge in the second set after gaining the first point on a lob over the net. “I think that kind of set the tone,” she said. “I always try to hit the ball short when my opponent is on the back line. I started going more for angles and hitting the ball harder in the second set. Gendron was happy with the performance by the Mustangs’ singles. Westwood grabbed the top three flights in doubles, including Madelyn Koski and Tessa Leece’s 7-6, 6-3 conquest of Munising’s Talatha Witty and Keira Stampfly at No. 3. West Iron earned a victory at No. 4 doubles when Aly Pangrazzi and Eden Golliher topped Westwood’s Erin Paavo and Aubrie Magnuson, 6-3, 6-2. 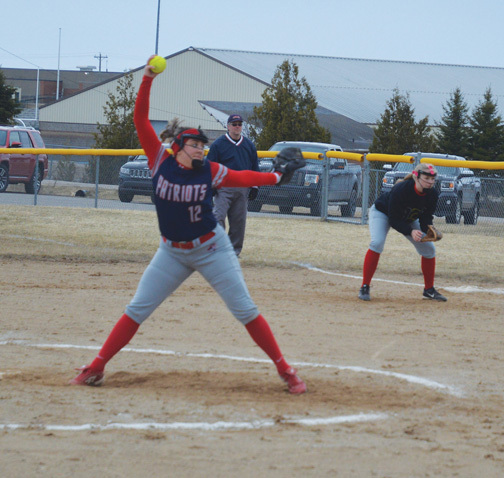 “We told our girls it would be within one or two points (for the title), and we came up a little short today,” Wykons’ coach Joe Serbentas said. “We’re a young team. We had three sophomores in the singles finals. Yet, we were right there.